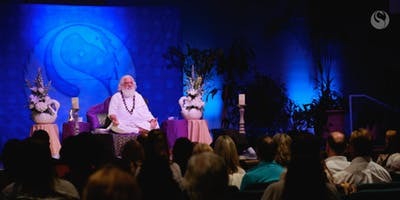 YOGIRAJ RETURNS TO MOUNT SHASTA TO SHARE HIS EXPERIENCE AND IMPART ADVANCED ANCIENT YOGIC TECHNIQUES. THE BENEFACTOR’S RETREAT SPECIFICALLY PROVIDES SIGNIFICANT TIME WITH YOGIRAJ IN A SMALLER GROUP. Those who return again and again to meet Yogiraj know that the most valuable part of a retreat is simply being in his presence. Yogiraj’s constant state of transmission compels the mind to quiet, the heart rate to slow, and the body to still such that one enters a different dimension of consciousness. Attendees of this year’s Benefactor Retreat will enjoy a relaxed program, sharing the simple majesty of Mount Shasta with Yogiraj. The program will offer attendees the opportunity to meditate with Yogiraj and receive his powerful transmission while doing so. Note: this year, Attendees will focus on a single advanced Yogic technique throughout the Retreat to allow for deeper refinement and synthesis. Attendees will also partake of Mount Shasta’s natural healing elements, amplified by Yogiraj’s presence, during outdoor excursions. There will be formal and informal discourse (Satsang), allowing attendees to present their questions to Yogiraj. Finally, Yogiraj’s wife, Gurumata, a Yogini in her own right, will meditate with attendees in the Joyous Divine Mother Meditation. The Organizing Team values inclusion and community, and recognizes and respects each person’s desire to come before Yogiraj. These Retreats are private programs, scheduled and structured to ensure maximum benefit to attendees. The Organizers request that all persons conduct themselves in a manner respectful of the programs and of the attendees who have made the effort to participate in the programs. 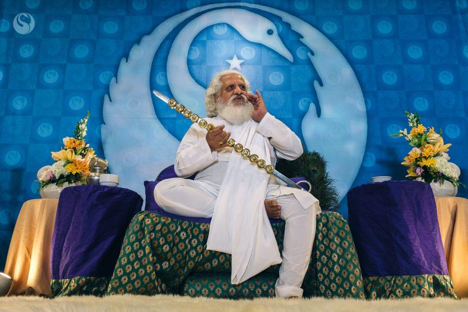 Please know that Yogiraj conducts many events that are free and open to the public. Register today for the best rates.